Why choose G & L Granite? 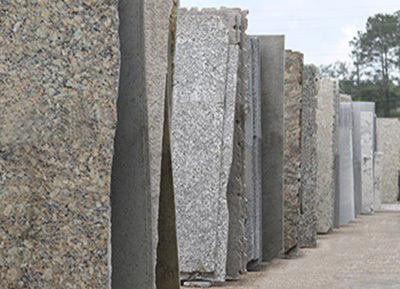 G & L Granite has the largest slab inventory in the Wiregrass area! We strive to perfect every project, every step of the way to give you your best natural stone experience. You can stop by and visit our showroom without an appointment at any time throughout the week. However, you can schedule one for a more personal experience. Installations typically take one day. However, larger projects may take a larger time to complete. What do I need to do to prepare for an installation? For countertop installations, please make sure all of your base cabinets are empty and your existing countertops are cleaned off. With our contertops, you have a standard 1 Year Worksmanship and Labor warranty. Our standard sealers have a 3 to 5 year warranty, but you can upgrade to a 25 year Sealer Warranty for an additional charge. Who will disconnect and reconnect my plumbing and electrical? We will disconnect your plumbing and electrical. However, we cannot reconnect any of it due to a licensed plumber or electrician being required. Do I need to buy full slabs? No! At G & L, we will only sell you what you need for your project. Will I be able to see seams in the fabrication? You will be able to see some minor seams, as no seam is compltely invisible. Can I keep my current backsplash? In your home or business, layout and details are imperative! With our in-house fabrication, you can schedule to come in and view your slab before the material is cut. 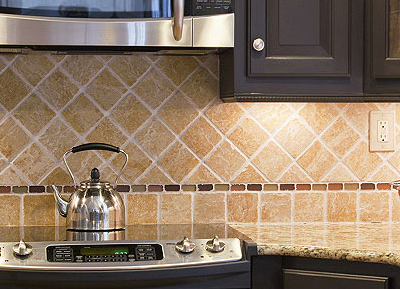 As long as granite is properly sealed, it does not harbor bacteria. However, concrete, stainless steel and formica will hold bacteria if not cleaned properly. We have finishes available in polished (glossy), honed/matte (no shine), and leathered/brushed (textured). Because the stone is mined from the Earth's quarries, every slab is unique in itself and cannot be replicated by man. From the time your cabinets are templated, the average kitchen takes about 4 days. Your countertops can be cleaned with a mild soap and water or with products for natural stone, such as granite or marble. How often do I need to reseal granite? 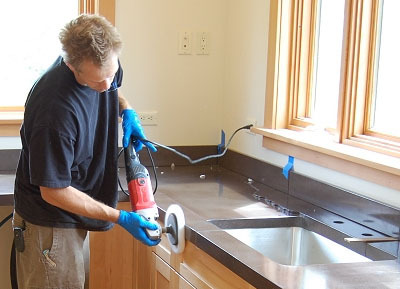 If you receive the standard sealer at installation, your countertops need to be resealed every 3 to 5 years. If you purchased the 25 year warranty, you do not need any resealing for the duration of the warranty.